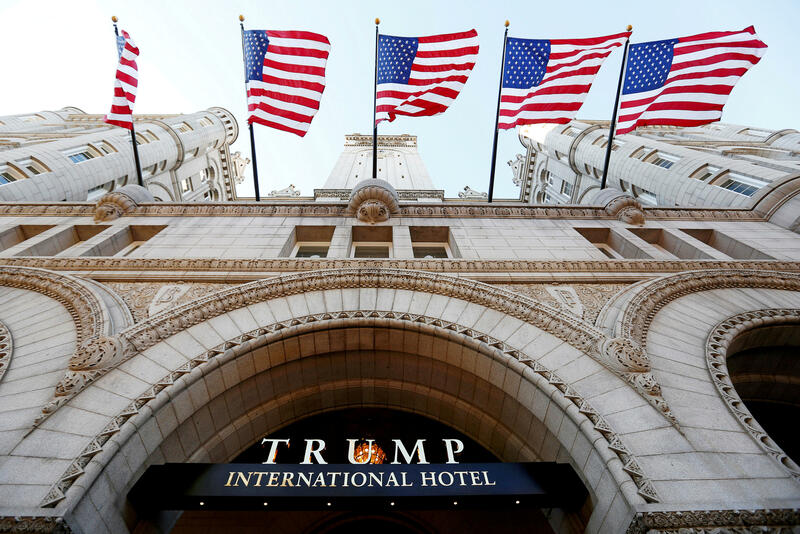 The inspector general of the General Services Administration (GSA) is "evaluating" the Trump Hotel International lease on federal property in Washington, D.C., CBS News has confirmed. "GSA's Office of Inspector General (OIG) is evaluating GSA's management and administration of the ground lease for the Old Post Office Building," GSA said in a statement to CBS. "GSA welcomes the oversight of the OIG and will continue to work with it on its evaluation." Watchdog groups and some members of Congress, including Sen. Claire McCaskill, D-Missouri, and Sen. Tom Carper, D-Delaware, have called on the OIG to review GSA's management of the lease with the Trump Organization. The lease is under scrutiny as Democrats look for any conflicts of interest in the president's business dealings. The original lease, reflecting conflict of interest rules, said no elected officials could take part in the lease or in any benefit arising from it. But the GSA in March declared no conflict of interest existed. The hotel, on National Parks Services grounds in the Old Post Office Pavilion, is located only blocks from the White House on Pennsylvania Avenue. The hotel is frequented by government officials and out-of-town business people. Before taking office, Mr. Trump said his companies would donate any profits from his hotels made by foreign patrons to charity. But since then, the Trump Organization hasn't explained how it's tracking, recording or reporting foreign revenue, and said it will make the donation at the end of the year. The Department of Justice, in response to a lawsuit filed by the watchdog group Citizens for Responsibility and Ethics, is arguing that Mr. Trump can accept goods and services from foreign governments without congressional approval, despite a constitutional prohibition against U.S. officials' acceptance of foreign payments or gifts without congressional approval. While other Trump properties are losing support -- multiple charities have pulled out of events at Mr. Trump's Mar-a-Lago club in Florida -- the Trump Hotel in Washington is thriving. The property received nearly $20 million in revenue in its first few months of operating, far exceeding expectations. Those details were a part of a financial disclosure Mr. Trump submitted in June to the Office of Government Ethics. Inspectors general are independent offices tasked with investigating waste, fraud and abuse within federal agencies. The GSA OIG has not issued a public timeline for the evaluation.